On seeing Malick’s latest, To the Wonder, returning viewers will quickly identify its stunning cinematography and rich soundtrack, as well as its ambitious philosophical and religious themes, as those of The Tree of Life. More similar to its predecessor still, To the Wonder is not exactly easy to follow. As many have noted, To the Wonder was the last film reviewed by Chicago Sun-Times film critic Roger Ebert before he passed away three weeks ago. While The Tree of Life scored a prized four out of four stars, To the Wonder would have to make do with three and a half. Ebert wrote of The Tree of Life, “I don’t know when a film has connected more immediately with my own personal experience….If I set out to make an autobiographical film, and if I had Malick’s gift, it would look so much like this.” Critics have so taken the film’s autobiographical hints (Malick grew up in central Texas in the 1950s, the setting of The Tree of Life) that Slate’s Forrest Wickman called the last two films portents of “Malick’s personal period.” And this for a man notoriously reclusive, not having given an interview since the 1970s. To the Wonder is only his sixth feature film in his 40-year career as a filmmaker. What The Tree of Life did in its analysis of human life and faith, To the Wonder does for love, that cardinal Christian virtue whose elusiveness the film lays bare. Addressing troubles brought on by a rapidly diversifying world and the ensuing teetering of institutions like marriage, family, faith, and church, the film examines domains of love, framing the beauty and challenge of romance in parallel with that of love for God in an age when both seem under siege. The film centers around Neil (Ben Affleck), an American man who meets a French woman, Marina (Olga Kurylenko), in Paris and takes her and her daughter back to live with him in a small town in his native Oklahoma. In the film, as in Malick’s life, the Parisienne doesn’t take easily to life in the American heartland. For a brief interlude, she returns to France only to find the once-delightful Paris “dreadful” and ultimately returns to the U.S. and Neil. While Marina is away, Neil returns to seeing Jane (Rachel McAdams), his high school sweetheart, again following Malick’s biography. Jane counters Marina’s European charm with her ranch-girl character and rugged American beauty. Neil and Jane share a passionate but fleeting romantic reconnection, as Neil suddenly breaks it off, perhaps knowing that Marina longs to return to him. She indeed returns and the two finally do marry, but none of it comes easily, or with any promise for certainty. In an interview, Kurylenko described her role as physically trying, which is unusual for a drama; her character is almost always in motion—be it prancing through sunny wheat fields, falling backward into Affleck’s arms, or dancing around the house with her daughter. Malick apparently instructed the cast to “never stop moving….Things have to just grow into something else and transcend from one thing into another and it’s like constant movement and dance, choreography….It’s more of a dance, performance.” In the spirit of this improvisational motion, Kurylenko was not even given a script. Still, the film is full of moments of incredible stillness and slow, subtle tenderness, so sharply contrasted with the predominantly explorative scenes that they immediately convey Marina’s deep unrest. From what must have been a massive collection of everyday (one might even say arbitrary) footage, Malick captures a remarkably coherent character in Marina: a person who is lucky enough to dance through life, but knows when to pause and take in its beauty. By contrast, Affleck plays much the same role as Brad Pitt and Sean Penn did in The Tree of Life—the fearless American man whose impenetrable character we are permitted only outside access to. While the film’s romances elude the permanence of the sacrament of marriage, an option Neil considers to get Marina a green card, a Catholic priest (Javier Bardem) concurrently tries to restore his love of God amidst the misfortunes of a bleak, wind-swept Oklahoma town crushed by poverty and harsh environmental conditions, including groundwater pollution that is implied to have caused autism and other health problems. In this darkness, each character is asked how to love God when the elements seem to crush another life at every moment. In one of the naturalistic stills interwoven with Neil and Marina’s story, a small cluster of reeds clings pathetically to life at the bottom of an industrial gravel pit that we know to be toxic. Just like us, Malick seems to say, except it is frighteningly left unclear whether to cope with that reality through love or despair. A Harvard-educated philosopher, Malick is more interested in profound questions than answers, to the point of utter vacuousness in many scenes. But while he could have thickened the plot and revealed his characters’ motivations, Malick knows better than to give his audience what they want. The anonymity of the characters prevents us from relating to them merely as stock dummies onto which we can project parts of ourselves; that has been done a thousand times and it is too easy. Rather, Malick’s withholding heightens our attunement to their status as human beings, whom we, as well as the other characters, can never know and never truly love. In doing so, he elevates the film to the status of metaphysical inquiry. 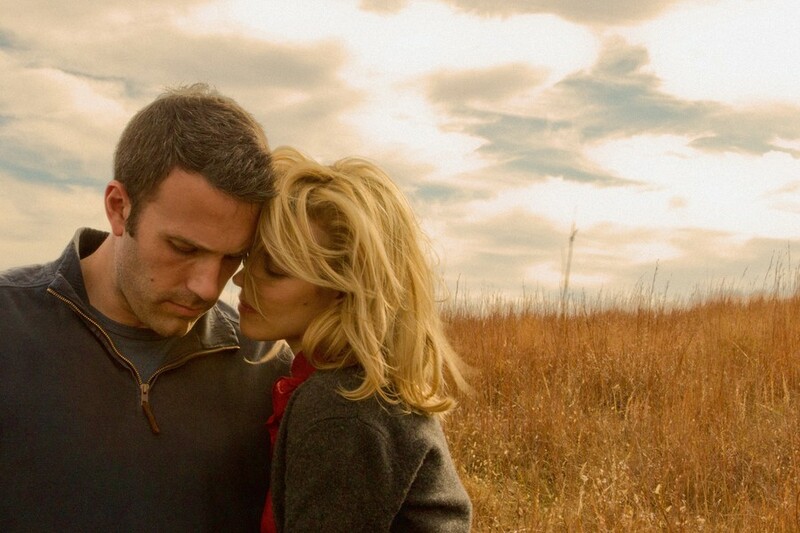 To the Wonder, directed by Terrence Malick, is currently playing at Landmark Century Centre Cinema.